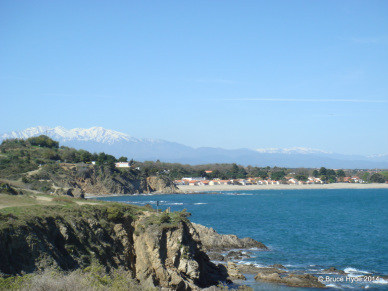 The Canigou is considered a sacred mountain in this part of France. 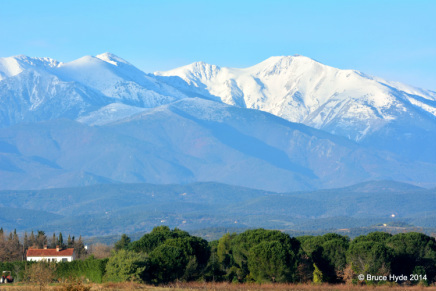 Due to its sharp flanks and its dramatic location close to the coast, until the 18th century it was believed to be the highest mountain in the Pyrenees. 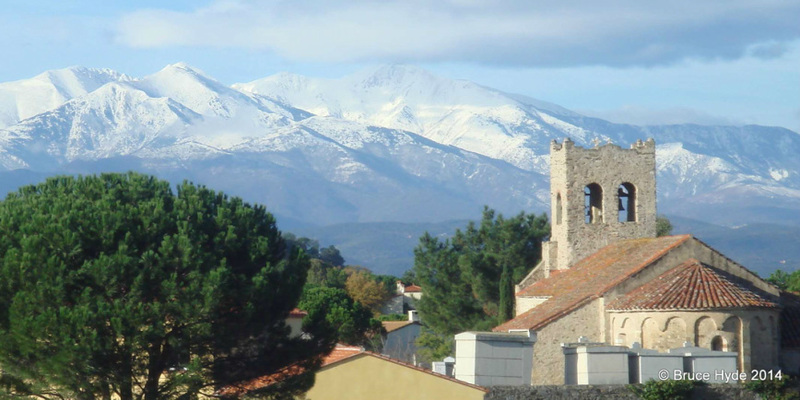 There are two ancient monasteries at the foot of the mountain, Martin-du-Canigou and Saint-Michel-de-Cuxa. This mountain has symbolical significance for the Catalan people. 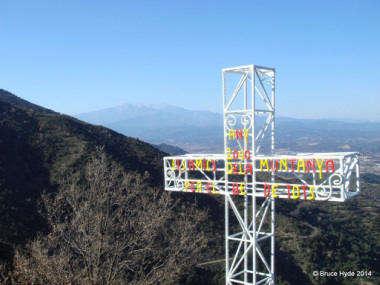 On its summit there is a cross that is often decorated with the Catalan flag. 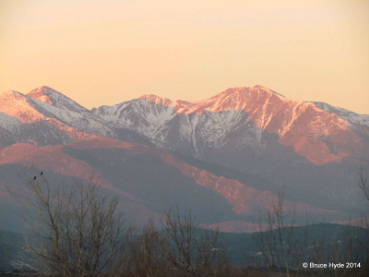 Every year on 23 June, the night before St. John's day (nit de Sant Joan), there is a ceremony called Flama del Canigó (Canigou Flame), where a fire is lit at the mountaintop. People keep a vigil during the night and take torches lit on that fire in a spectacular torch relay to light bonfires somewhere else. Some estimates conclude that about 30,000 bonfires are lit in this way all over Catalonia on that night.